Hey, have you heard about that movie featuring some sci-fi heroes with glowing swords and some evil guys in dark suits? If you’re into that, they’ve partnered up with Google to offer some free Cardboard headsets featuring characters from the franchise. If you missed your chance to grab one at the Verizon store earlier this month, you can head over to the Play Store to get your Star Wars set featuring BB-8, R2D2, Kylo Ren, or Stormtrooper. Limit one per person for US addresses only, sadly – but if you’re qualified, shipping is even free. 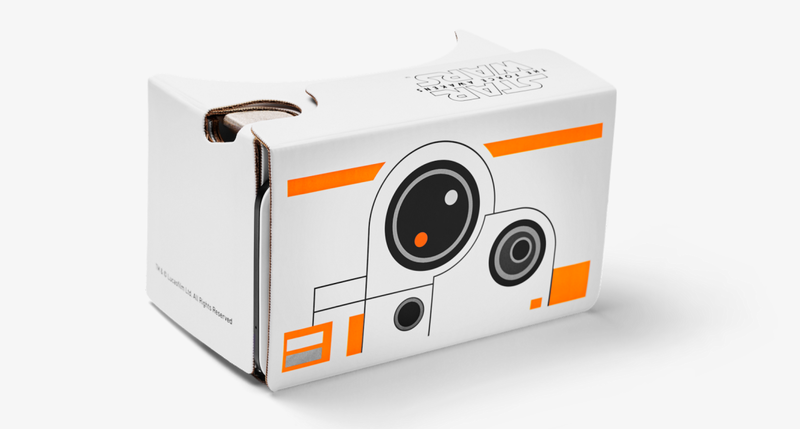 With Google Cardboard, you can check out some fun virtual reality with the official Star Wars app or via Google’s Awaken the Force website. It’ll probably ‘sell’ out quick, so hurry and grab one now before they’re gone. I’ve got my BB-8! [Update December 11 at 2:22 PM ET]: Looks like they’re all gone. We’ll keep you posted if these make a return! [Update December 11 at 5:12 PM ET]: Google seems to have added some more stock, so get moving before you miss out again.